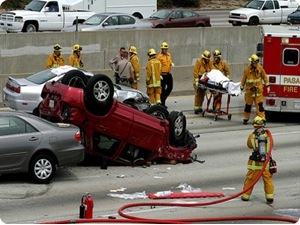 Our car accident law firm provides personal injury legal services for those injured in auto, motorcycle and other accidents and for the relatives and families of those killed in car and other accidents for wrongful death claims in Calabasas, California, a community of 110,747 people, located in Los Angeles County, California. If you had a car accident or other personal injury claim, please contact our injury attorneys and legal team now for a completely FREE CONSULTATION. 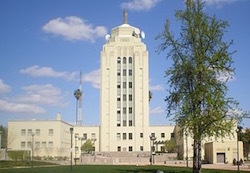 The city of Van Nuys, bordered by North Hills, Panorama City, Valley Glen and Sherman Oaks, is a district in the San Fernando Valley region of the City of Los Angeles. 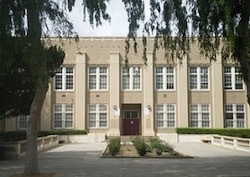 The neighborhood is considered very diverse and has many notable locations which include the Van Nuys Airport, eleven public schools, eight private schools and a number of government administrative offices. If you or someone that you care about was injured or killed in a car accident in Van Nuys or anywhere in California, please contact us now for a FREE consultation. 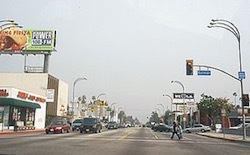 Many car accidents are more likely to happen in areas that attract a large number of people and, unfortunately, The California Highway Patrol (CHP) estimates that 2,739 people in California were killed in 2010 alone. At The Law Offices of Gary K. Walch, A Law Corporation, our staff and attorneys are known for their ability to help victims and their families in their time of need. When you have been injured in a car accident, or a family member killed and you have a wrongful death claim, it is important that you have a lawyer with substantial legal expertise and experience who can help you. 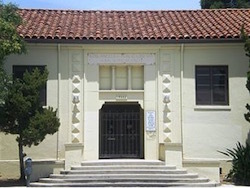 Our senior attorney has over 40 years of car accident personal injury legal experience and has successfully resolved thousands of car, auto, motorcycle, bicycle, uninsured motorist (UM), pedestrian and other motor vehicle claims and two of our attorneys, Robert Walch and Gary Walch, were each selected as Top Lawyers in California (Highest in Ethical Standards & Professional Excellence). We invite you to see our Car Accident Testimonial Pages. An automobile accident is a serious matter that can lead to tragic outcomes and have long-lasting effects on the victims involved so it is very important to have an experienced attorney on your side. The Centers for Disease Control and Prevention report that motor vehicle accidents are the primary cause of fatal injuries among young Americans within the age of 5 and 34. One common injury that victims of car accidents experience is neck injuries. The neck is the most vulnerable part of the spinal column. These injuries are usually the result of a car accident, motorcycle accident, truck accident or slip and fall accident. The momentum of the impact forces the neck to move beyond its range of motion which can then cause common types of traumatic neck injuries like neck sprain, cervical radiculopathy and herniated disc which can range from the tearing of the muscle fiber to a ruptured disc. The Law Offices of Gary K. Walch offer you the strong representation and advocacy that you need when you or a loved one has been through a difficult car accident or other personal injury accident in Van Nuys or anywhere in California. It is our job to best represent your interests and aggressively pursue your rights. Our staff handles accidents involving car, motorcycle, truck, bus, train, bicycle, pedestrian, hit and run, uninsured motorist (UM) and much more. Call us for an absolutely FREE consultation to review and analyze your car accident or other personal injury case. For your convenience you don’t even need to leave the comfort of your own home. Just like many of our clients you can do everything by telephone at 818-222-3400 or toll free 866 INJURY 2 (465879 2), email (info@WalchLaw.com) or simply complete our very easy to use contact form.